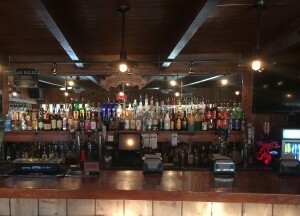 Stonehouse Tavern | Stonehouse Tavern Bar & Restaurant, music and entertainment. 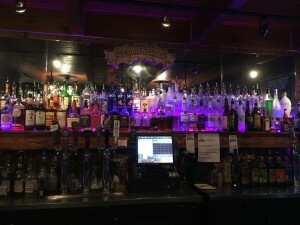 Stonehouse Tavern Bar & Restaurant, music and entertainment. Where else in Auberry can you have a huge selection of craft beers, the best burgers on the mountain, every adult drink you can dream of and the friendliest staff around? Stonehouse Tavern is located in lovely downtown Auberry, in a building that has seen the heyday of the boomtown when the saw mill employed 300 people and there were more bars than churches. Throughout the years it had been a variety of bars and restaurants, culminating with Stonehouse Tavern. Our food is simple, hearty, homestyle goodness. Awesome burgers, smoked tri-tip sandwiches on Tuesdays, carne asada tacos on Thursdays, even salads and wraps for a little lighter fare….but we are a bar, after all, so expect a lot of deep-fried goodness. We have pool tables, darts and horseshoe pits in our huge fenced patio area. Every Friday we have Music By Melvin, the best karaoke around. Live bands play twice a month on Saturday nights, with a huge variety of music.